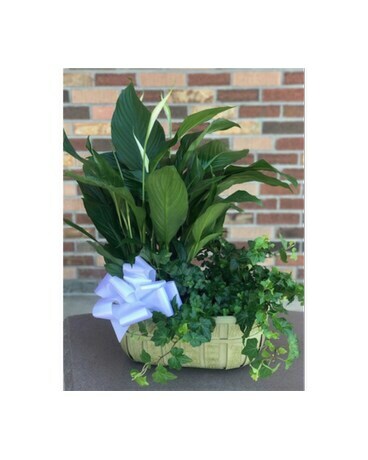 A client favorite is our peace lily paired with trailing ivy. Planted together in a designer basket. Great for sympathy occassions or to spruse up an office or home. Basket color may vary in color or style.